Isetan department store had an exhibition of my photos as a tribute to John Lennon. 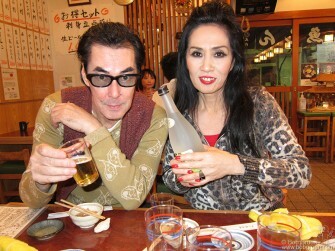 I had a chance to have dinner with Japan’s favorite punk rock family, Sheena and Makoto of Sheena and the Rokkets. 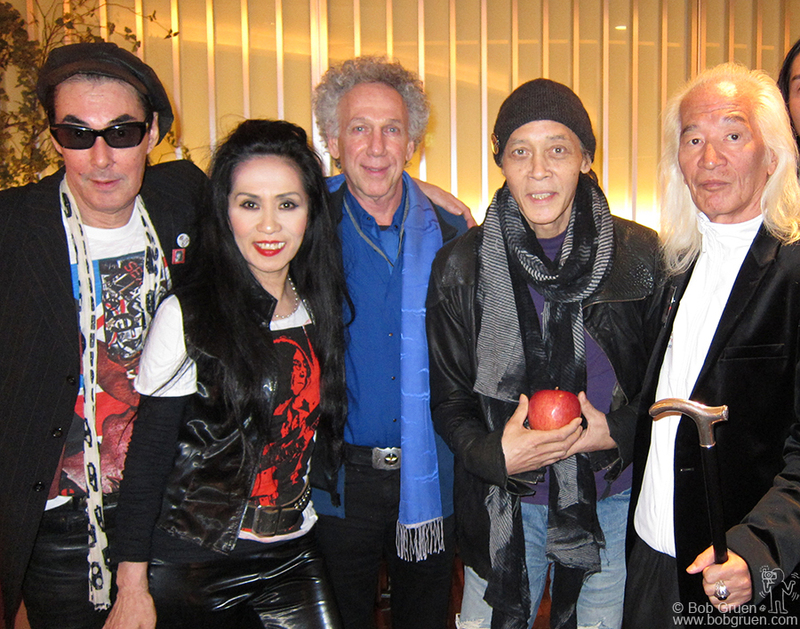 I saw Makoto and Sheena with Joe Yamanaka and Yuya Uchida after their press conference for their annual New Years Eve Rock and Roll Baka show. 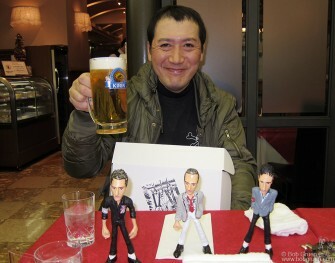 The fabulous artist Nob showed me some of his new unique sculptures of the Clash. 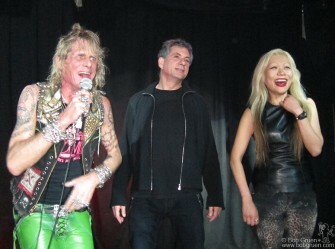 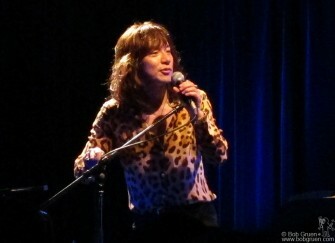 While I was in Tokyo Diamond Yuki played a very unusual club show for his fans. 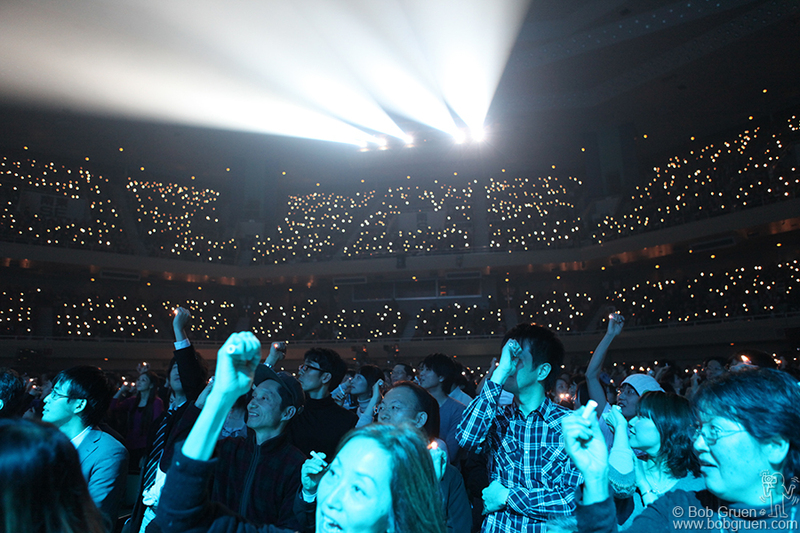 At Yoko Ono’s tribute to John Lennon concert at the Budokan audience members lit up flashlights during the finale. 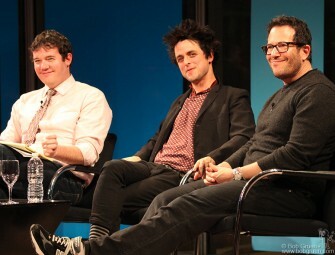 Back in New York in January, I went to the New York Times talk with Billie Joe Armstrong and American Idiot broadway show director Michael Mayer, led by New York Times theater editor Patrick Healy. 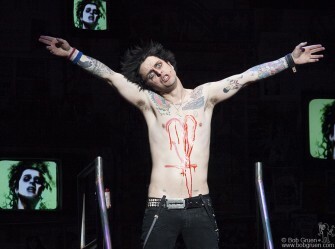 Billie Joe starred in the American Idiot play in January and February as St. Jimmy. It was really great to see Billie Joe in a dramatic role. He may come back to the show in April. 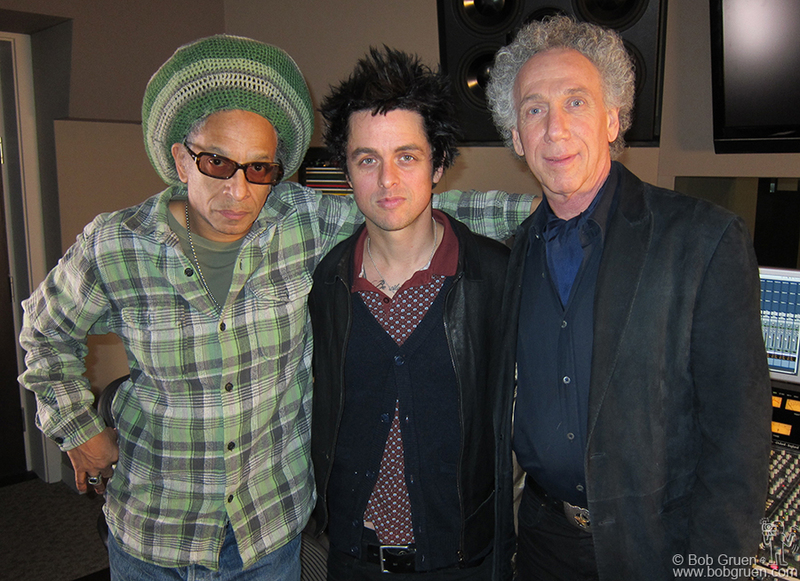 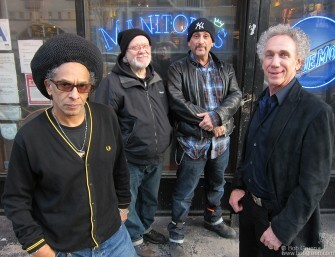 The Grammy award winning director (for his Clash documentary ‘Westway to the World’) Don Letts, came to NY to make a documentary about me for Sky Arts 1 HD TV. He interviewed Tommy Ramone above, at Manitoba’s bar on Ave B. 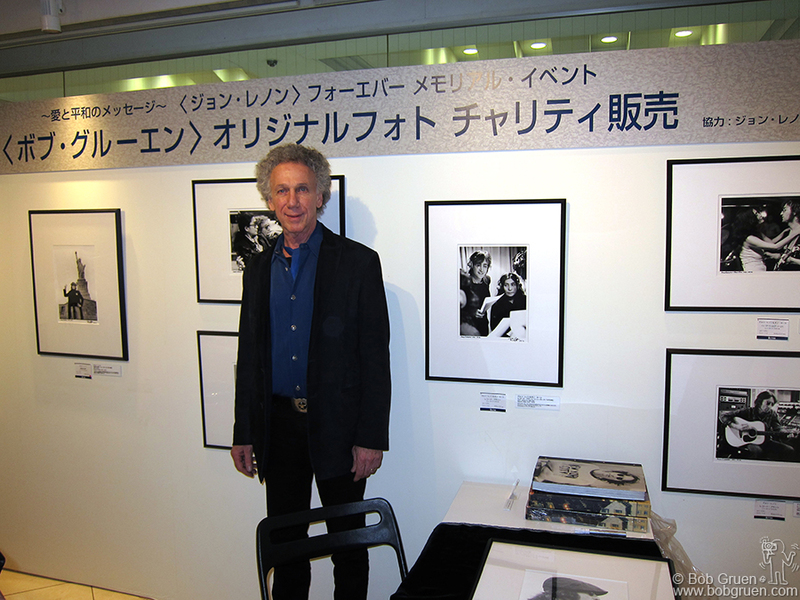 Don also interviewed Billie Joe Armstrong as well as Yoko Ono, Debbie Harry, Iggy Pop, Alice Cooper and others for the documentary, ‘Rock & Roll Exposed – The Photography of Bob Gruen’, to be shown in the UK in March and hopefully licensed to show in the US in the Fall. 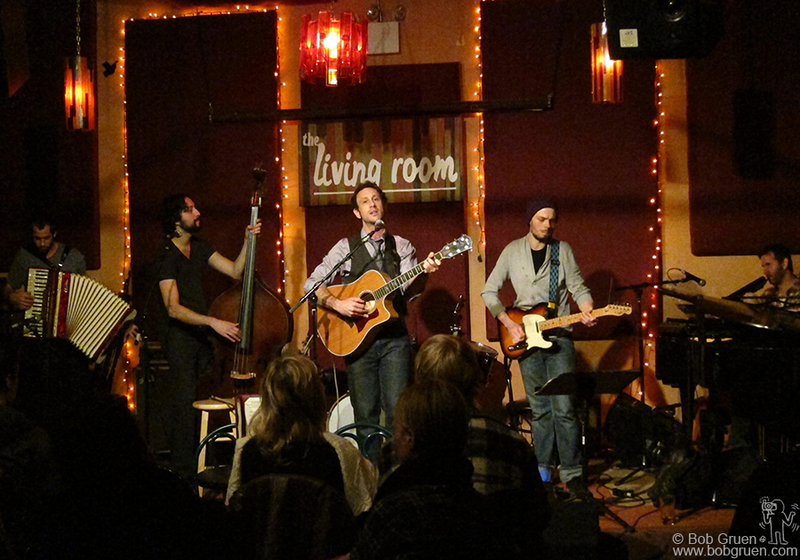 My son Kris Gruen played at the Living Room in New York. 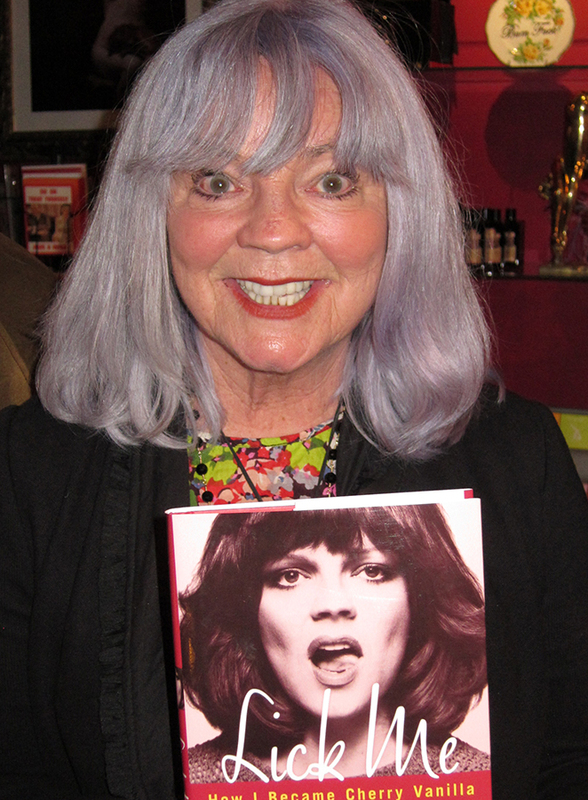 Cherry Vanilla gave a reading of her new book ‘Lick Me’, a biography of her wild life. The Brothers of Brazil, Joao and Supla, came and played several shows in New York before going to sign a record deal in Los Angeles. 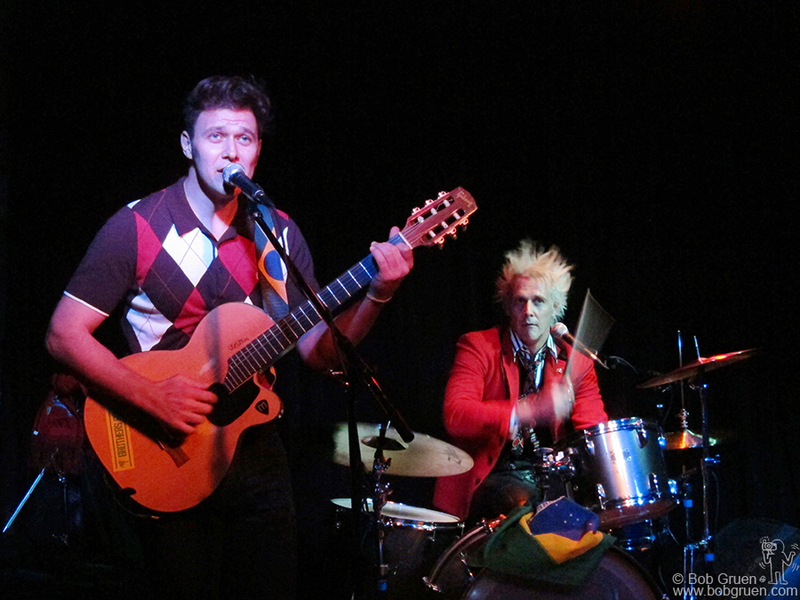 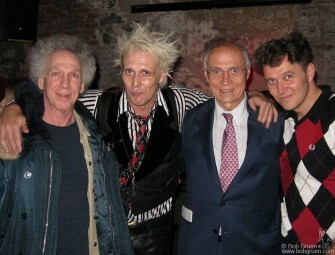 At the Brothers of Brazil show at the Bowery Electric they were joined onstage by their father Eduardo Suplicy, a national Senator of Brazil, who sang his version of ‘Blowing in the Wind’. 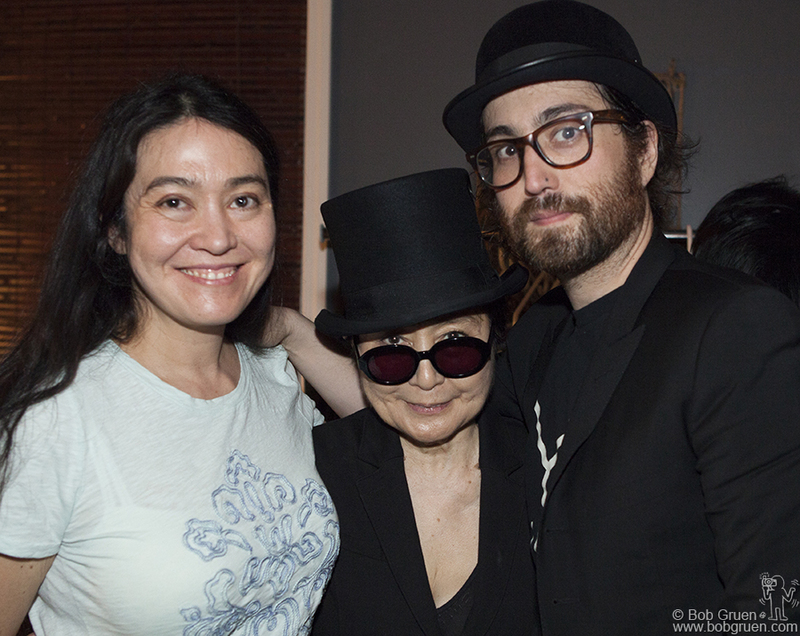 Yoko Ono celebrated her 78th Birthday with her daughter Kyoko and son Sean. 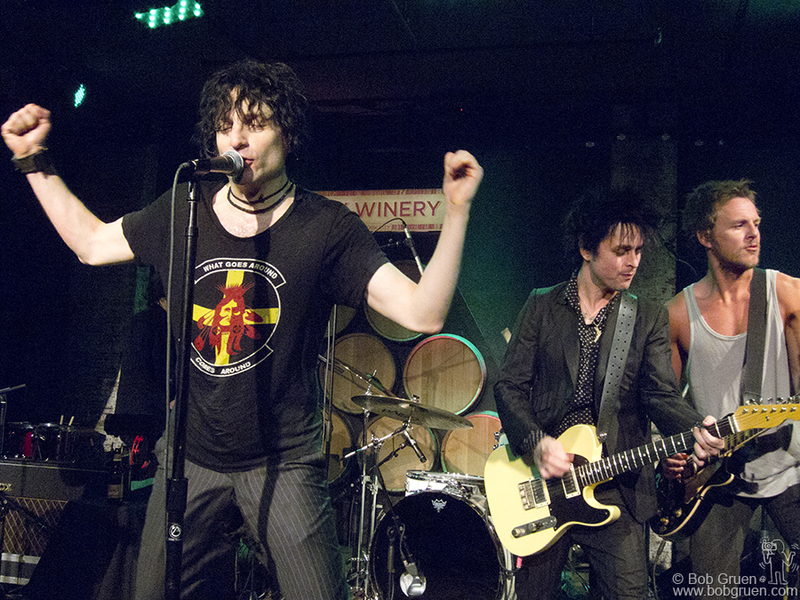 Jesse Malin played a rocking set at New York’s City Winery and Billie Joe Armstrong, and Charlie Mars joined in for a five song encore. 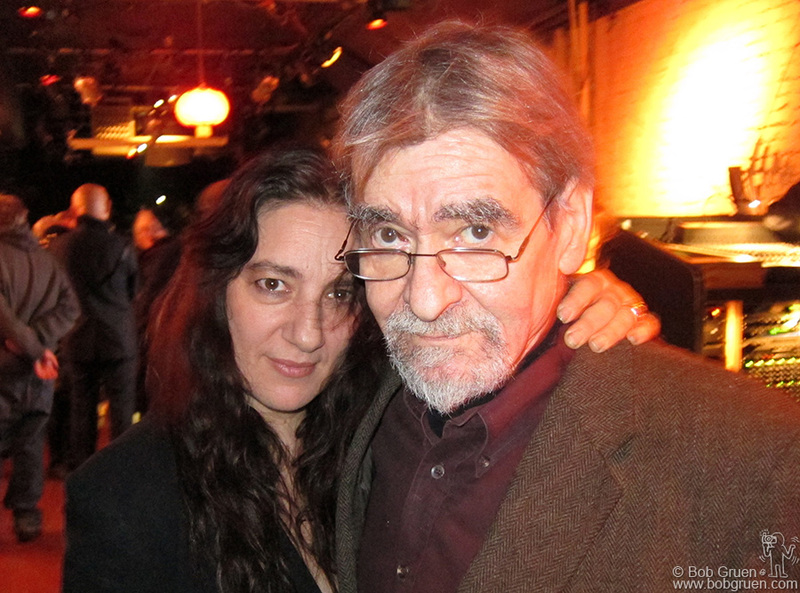 Sharon Blythe and Giorgio Gomelsky celebrated their mutual birthdays at Giorgio’s loft. 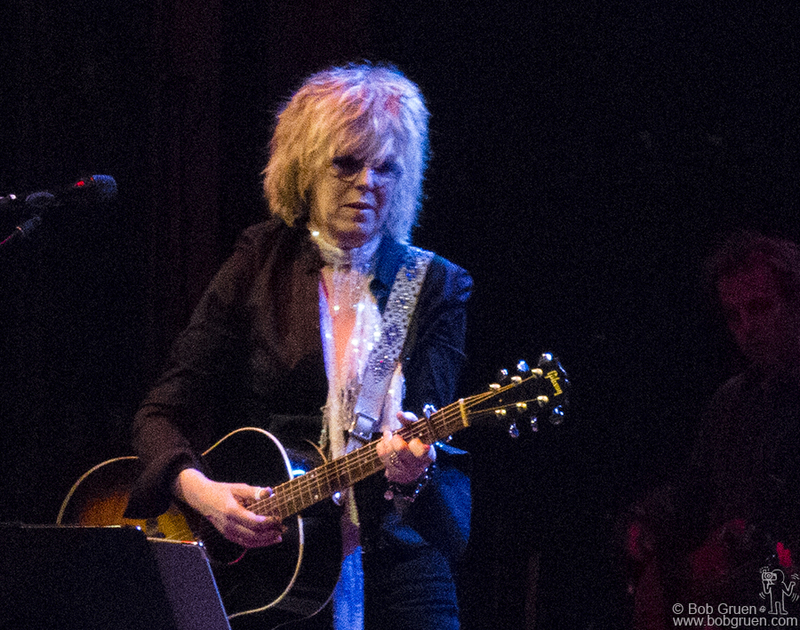 Lucinda Williams brought her rockin’ country sounds to New York for two shows at Webster Hall. 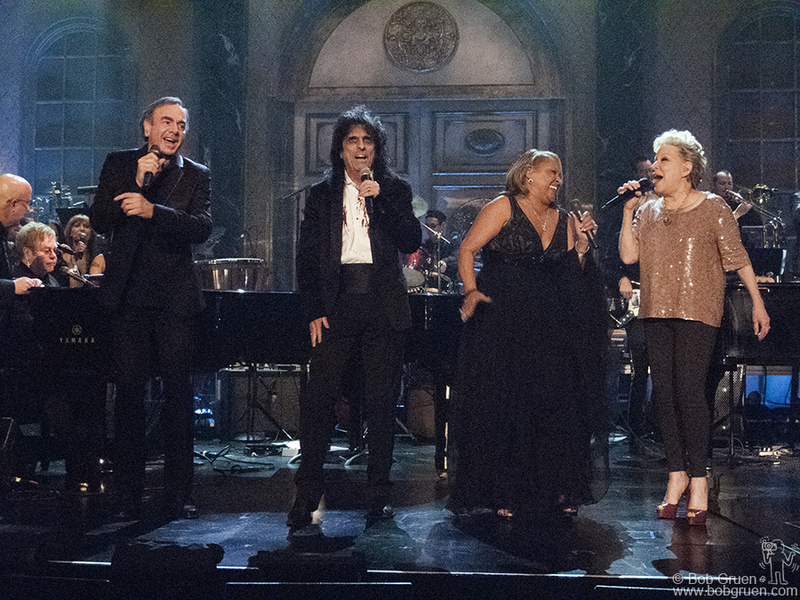 The Rock & Roll Hall of Fame this year inducted Neil Diamond, Alice Cooper and Darlene Love, above with Elton John and Bette Midler at the annual dinner at the Waldorf Astoria hotel.